Vincent Van Gogh’s stay in The Hague was notably the time where he began to develop as an artist. This was when he had not yet started with oil based paints, since they were expensive. He then believed he didn’t have the skill to work with them. Due to a quarrel, he did not have the luxury of depending on his family for work or stay. 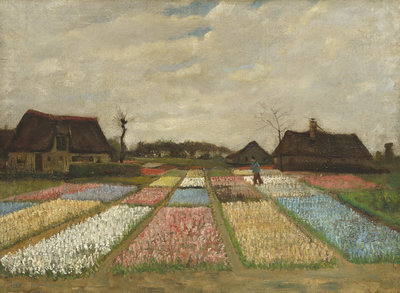 Nevertheless, he continued to work, and produced some paintings such as “Bulb Fields”. Later on, his uncle commissioned him to draw 20 ink drawings of the city, which he completed. The experience he gained in The Hague would undoubtedly shape him as an artist forever. 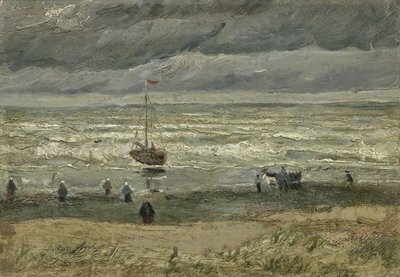 Shortly after moving to The Hague, Van Gogh quickly involved himself in his work, such that his cousin-in-law, Anton Mauve, set him up with a studio and started teaching him to paint with watercolours and oil paints. Shortly after, they had a falling out, but Van Gogh pressed on with his work. Some of the most notable pieces that he painted during this time are“Bulb fields” and “Still Life With Yellow Straw Hat”. Still life subjects gave him the experience he needed to work on shading and colour mixing techniques. This was also the time where he learnt to paint with Impressionist techniques, a skill which he would continuously perfect later on in life. By November 1882, he learned to paint portraits and started character studies, which added another facet to his skills. At Van Gogh Studio, we create handmade replicas of Vincent Van Gogh’s paintings. We aim to perfectly recreate the work of one of Holland’s most distinguished artists. 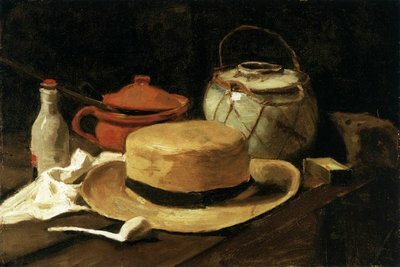 Our expert team of painters have thoroughly studied all of Van Gogh’s techniques, such as impasto, brush strokes, colour mixing, rhythm of application, and ambience. Our artists are also trained to use the same perspective and drawing techniques that Van Gogh used. All of this attention to detail ensures that your purchase will be close to the original. We guarantee your total satisfaction or 100% of your money back.